Located in the delightful Chapel Rd precinct, Claremont Stage 1B2 is an eagerly awaited release offering larger lot sizes right near perfect parks and playgrounds. 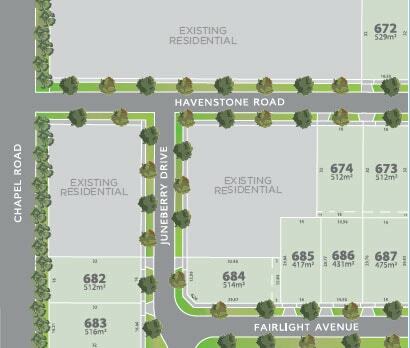 Presenting 9 lots ranging in size from 417m2 to 529m2 with prices starting at $360,000, Claremont Stage 1B2 suits buyers aiming to build larger family homes. Start planning your new life in Claremont at Somerfield today. Call our Sales Office on 1300 719 223.